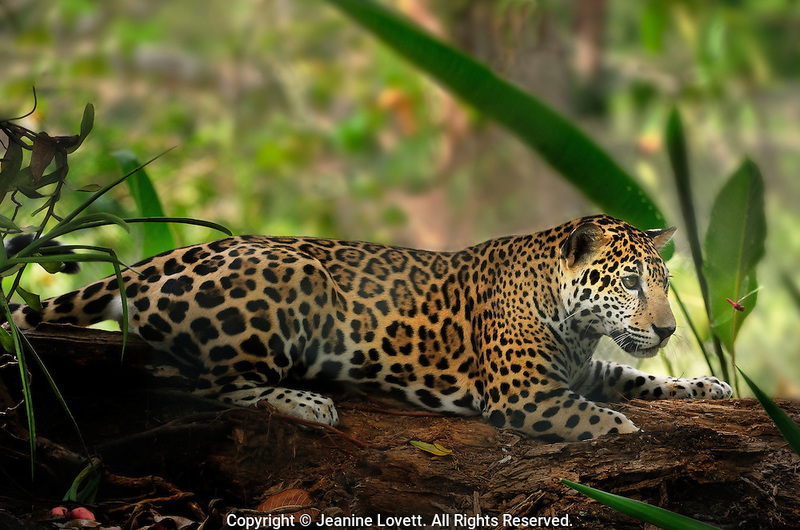 jaguar, Panthera onca, Belize, Belmopan. A rescued captive jaguar was found in the jungle as a small cub by men clear cutting the jungle. The a man hired to cut down the jungle brought the cub home to his family. As the jaguar grew she got too dangerous to keep in his home. A part of land on the edge of the jungle and river has been fenced to keep in the captive jaguar. Jaguar is captivated by a dragon fly. Fence is shown in back ground.